To clean white baseball pants is a very challenging job. As the stains from playing stand out against the white baseball pants, removing them take much time compared to ordinary suites. 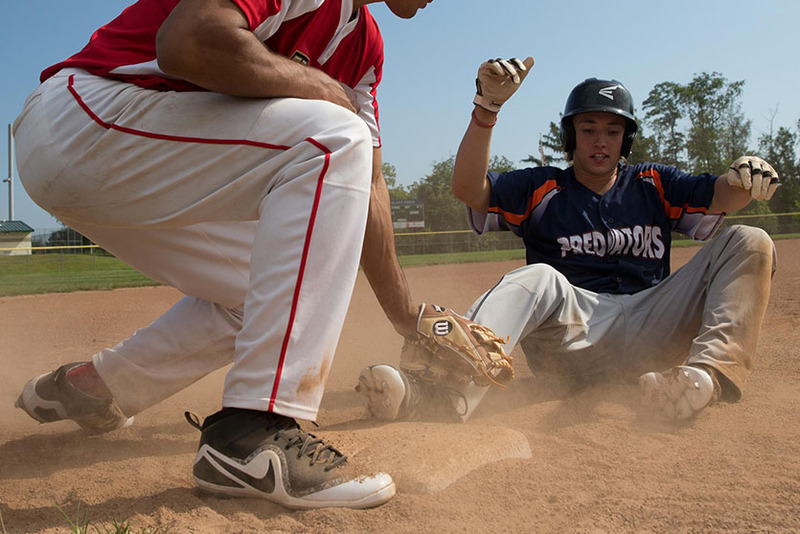 Baseball is played in a variety of outdoor conditions where ground-in dirt, mud and grass stains are unavoidable. If those stains and dirt are ignored, expect the pants to look at its worst. This will lead to a situation where dirt remains to fabric and that it will stay not good in the eye no matter how you clean it. With the help of the correct stain treatment and laundry techniques, you can have the power to clean white baseball pants and turn it back to sparkling white. Remove away any loose dirt or excess mud away. For dry baseball pants, they should be shaken and brushed gently to move out dirt particles. For wet baseball pants, they should be hosed off with cold water outdoors or spray the fabric with cold water to prevent the dirt from soaking in. Know whether the baseball pants are colorfast or not. If they are all white then determining the color will not be a concern. However, if the pants are white but some parts of it are colored, care must be taken to avoid damaging the colored area. To check if the pants are colorfast, try mixing at least 1/4 cup of water with 1 tbsp. of bleach and place a couple of drops on the white area of the pants. If the color has faded then bleach should be avoided. Different stains require different treatments so know what type of stain you are facing. Stains from dirt, mud, and blood are called protein stains which are hard to remove a bit hard. For protein stains, rinse them first with cold water. If dirt still remains, soak them in with an enzyme laundry additive. On the other hand, stains from red clay and grass are known as dye stains. Dye stains are easy to remove but they are pretty monster when left on the fabric for long. For dye stains, gently rub the stained area with a paste of table salt and white vinegar as they are known to remove stains quickly. Rinse the baseball pants with water after the stains have been fully treated. Sometimes, small stain marks remain. For instances like this, repeat the treatment process and do the rinsing again. Never soak laundry additives too long to fabrics or have an opposite result. Thoroughly wash the pants with water. Once you see satisfactory results on your white baseball pants, let them dry. It is better to place them under the heat of the sun as it is known to kill bacteria on fabrics. In cleaning the pants, avoid rubbing or scraping the stain too harshly. Abuse cleaning can only damage the fibers of the fabric leading to the arrival of pulls or holes in the pants. Time is the key when it comes to treating the stains. The sooner the stain is treated, the easier the removal could be. The longer the hours you soak detergent on the fabric, the more damaged it gets. Bear in mind that most baseball pants are made of polyester. Polyester fibers attract dirt more often but need not to be soaked with hot water or washed with extremely harsh detergents to avoid damaging the fabric. As the white baseball pants are often in contact with different stains on the field, it would be very hard to see them fully cleaned again. Not anymore! The five easy steps above and the Baseball Thing can help you clean white baseball pants without breaking the bank.